In a multi-vector attack, cybercriminals combine a variety of threat technologies, deployed in numerous stages, over multiple points of entry, or vectors, to infect computers and networks. To keep businesses, their users, and their devices safe, Webroot SecureAnywhere® Business Endpoint Protection offers a unique next gen blend of layered multi-vector protection that stops threats across email, web browsing, files, URLs, ads, apps, and more. 53% of breaches do not use malware. Streaming prevention through Cb Defense goes beyond machine-learning AV to stop all types of attacks before they compromise your systems. Cb Defense, with its breakthrough prevention model, market-leading detection and response capabilities and single lightweight agent, is the future of next-gen antivirus. Cb Response is the market-leading incident response and threat hunting solution designed to provide responders with the most information possible, accompanied by expert threat analysis and armed with real-time response capabilities to stop attacks, minimize damage and close security gaps. Cb Response makes these teams more efficient, reducing investigations from days to hours, and more effective, enabling them to discover threats before attacks can exploit them. Cb Response also allows teams to connect to and isolate infected machines to prevent lateral movement and remediate devices without costly IT involvement. Proofpoint Threat Response Auto-Pull (TRAP) enables messaging and security administrators the ability to automatically retract threats delivered to employee inboxes and emails that turn malicious after delivery to quarantine. It is also a powerful solution to retract messages sent in error as well as inappropriate, malicious, or emails containing compliance violations and also follows forwarded mail and distribution lists and creates an auditable activity trail. With Proofpoint Threat Response Auto-Pull, you can protect your people, data, and brand from today’s threats by: • Automatically pulling malicious or unwanted messages from an end-users inbox. • Enriching each message by checking every domain and IP address against premium intelligence feeds. • Including built-in reporting, showing stats like: Email quarantine success or failures, email retraction read status, targeting by active directory attribute • Reducing the remediation time needed from hours to minutes. EnCase Endpoint Security is the most complete threat detection and response solution—eliminating the time it takes to detect, validate, triage, investigate, and remediate known and unknown threats lurking across the enterprise, unseen by perimeter and network solutions. 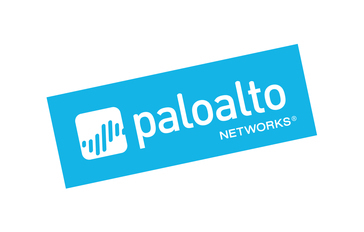 An organization’s security is simply not complete without endpoint visibility. Deep Discovery Inspector is available as a physical or virtual network appliance. It's designed to quickly detect advanced malware that typically bypasses traditional security defenses and exfiltrates sensitive data. Specialized detection engines and custom sandbox analysis detect and prevent breaches. enSilo offers a complete endpoint security and malware protection solution, designed to stop malware post-infection real-time from causing harm and tampering or exfiltrating data from endpoints. SNOW is an endpoint detection/response solution in the form of a lightweight cross platform sensor. Operating on a host based managed system, it proactively searches through networks 24/7 to provide the ultimate protection against todays most sophisticated cyber security threats. BluVector Pulse delivers a fully turnkey sense and respond platform, automating the health and heartbeat monitoring and device management of the market-leading BluVector Cortex offering. Sequreteks EDPR helps organizations to Detect, Protect and Respond against zero-day threats, advanced persistent threats, ransomware attacks and other malware. EDPR is the first product in the industry to achieve efficiency and sophistication in product design that combines a multitude of technologies. Endgame Platform is an endpoint security platform that prevents all device compromise, stops ongoing attacks, and automates the hunt for the next generation of attacks. IntSights is revolutionizing cyber security with a first of its kind Enterprise Threat Intelligence & Mitigation platform that delivers proactive defense by transforming threat intelligence into automated security action. It monitors your external risk profile, aggregates and analyzes tens of thousands of threats, and automates the risk mitigation lifecycle. Falcon Complete™ changes the game by making endpoint security powerful and easy for all organizations. Falcon Complete combines CrowdStrike’s industry-leading protection technologies with the people, expertise and processes necessary to provide the most effective, worry-free approach to endpoint security. CrowdStrike® Falcon Insight™ eliminates silent failure by providing the highest level of real-time monitoring capabilities that span across detection, response and forensics. G Data Endpoint Protection helps protect clients directly from threats and exploiting vulnerabilities, including proactive protection against malware, including an effective client firewall and efficient patch management to prevent vulnerabilities in installed programs from becoming an attacker's gateway.